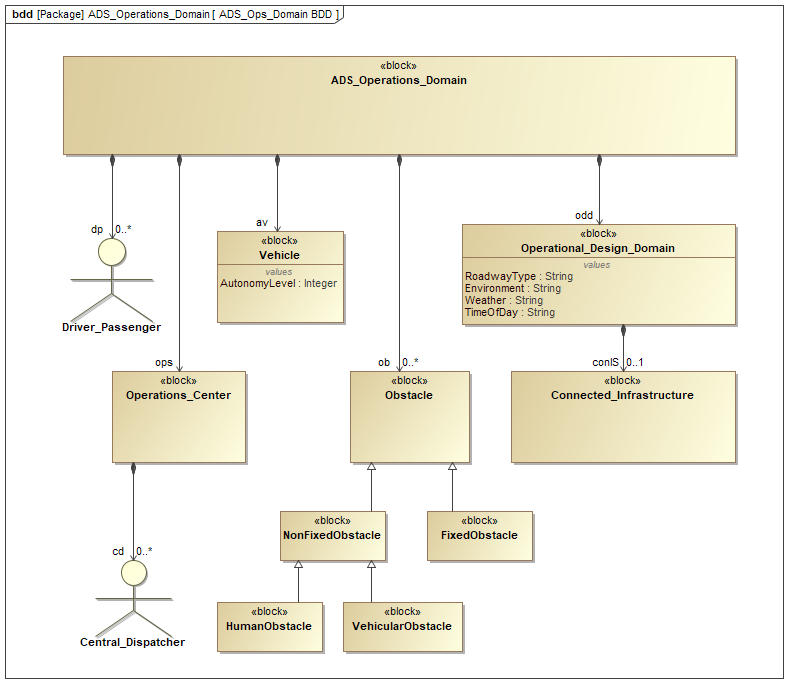 The Operational Design Domain (ODD), the general environment in which the Vehicle is designed to operate. Variable factors include road type, weather and time of day. The ODD also includes the connected infrastructure (road signs, traffic signals, etc.) that communicate electronically with the Vehicles and each other. Obstacles, the random factors in the local environment (e.g. pedestrians) that the Vehicle and/or Driver must recognize and respond to appropriately. Preparing such a domain diagram, specifying the elements with which the system-of-interest, the Vehicle, must interact, is generally an early part of any Model-Based Systems Engineering (MBSE) effort. Note that this only concerns the vehicles’ operating environment. Additional modeling could include manufacturing, distribution, maintenance and other factors, depending on the purpose of the model. Figure 2 shows the architecture of our MBSE structure. 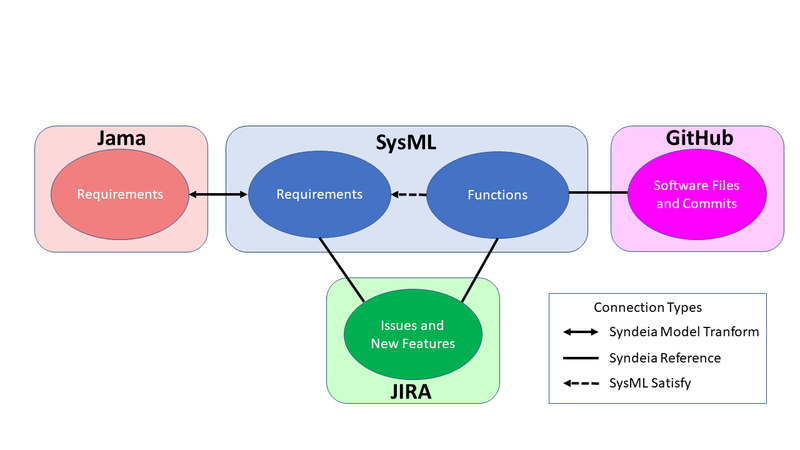 Syndeia, the Model-Based Engineering platform from Intercax, is used to create, maintain and visualize the Total System Model (TSM). 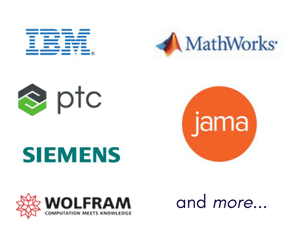 Our toolset for this example includes Jama, MagicDraw, GitHub, and JIRA, but other software tools, e.g. IBM Rational Rhapsody and DOORS NG, could be used in a similar fashion.